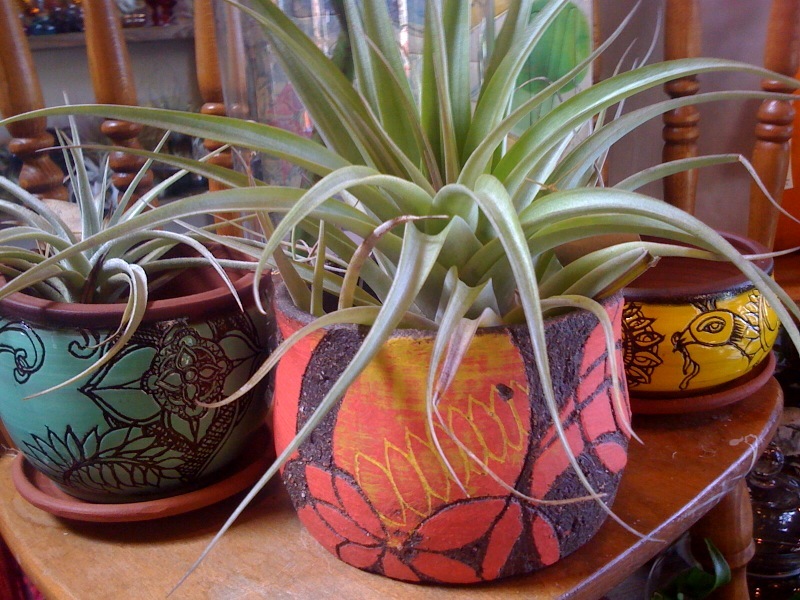 This Saturday November 1st, we are having our 4th Annual Airplant Sale and Day of the Dead Fiesta at the Boutique. 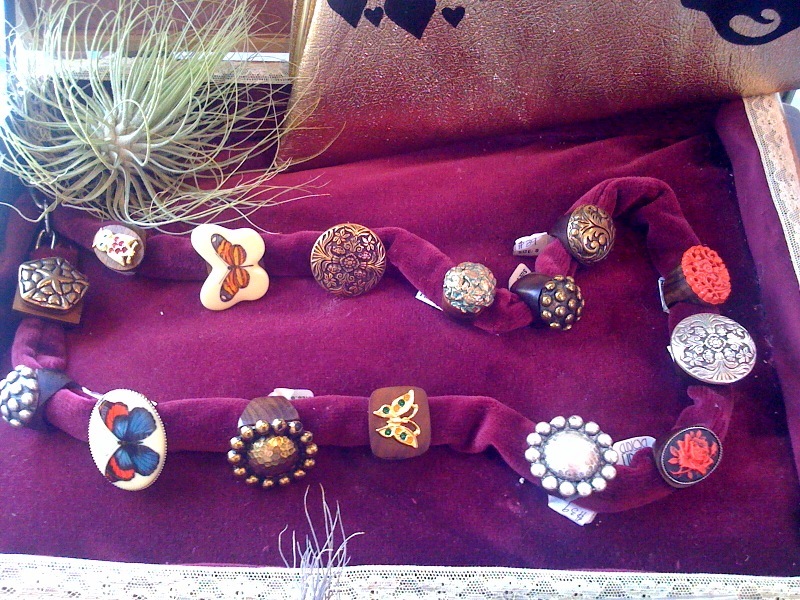 If you're here in the Bay, don't forget to swing by the boutique for Gorgeous and Green's 3rd Annual Airplant Sale. 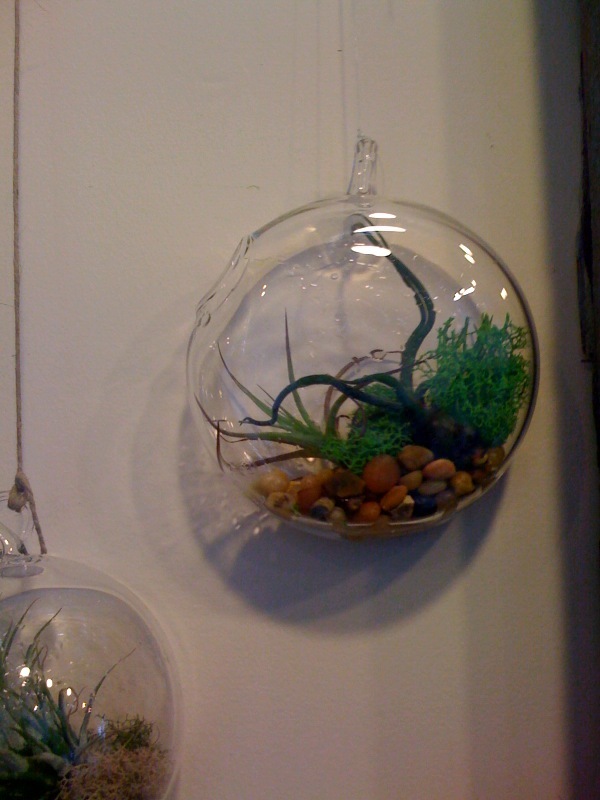 These flat terrariums allow it to rest right up against the wall, so you can hang it from a nail or hook in the wall. 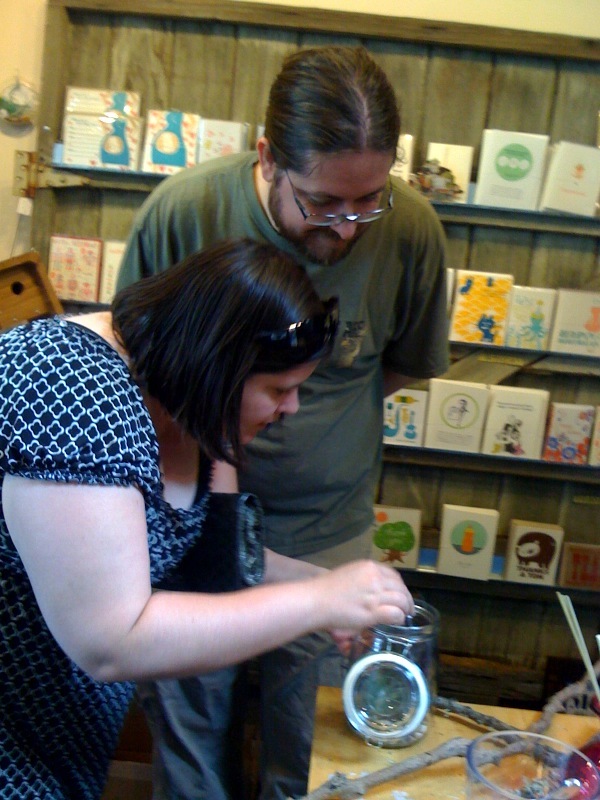 I have a new collection of locally made pottery designs from the artist Anna Vaughn, who's eye for color, texture and ornate designs go well with the delicate but very earthy style of the shop. 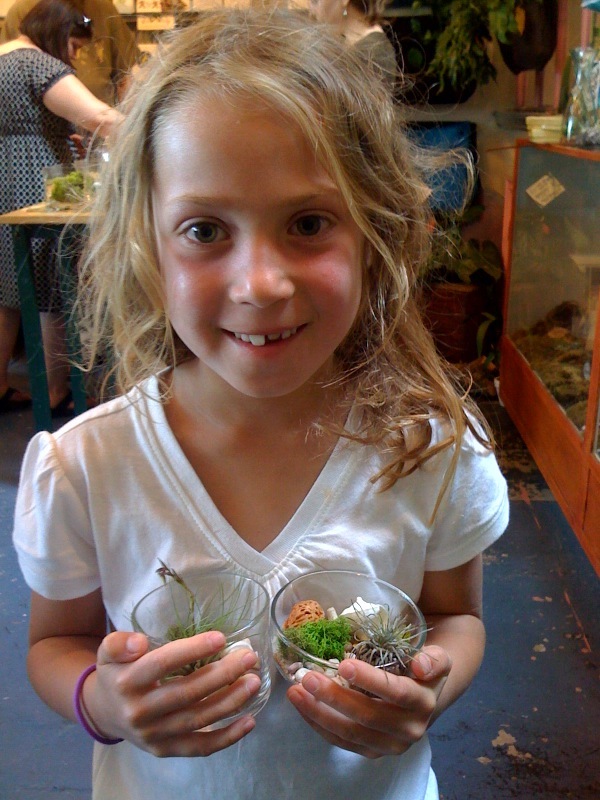 Her art pots continuously sell very well in the boutique, so get them while you can! They take her a lot of time to create! 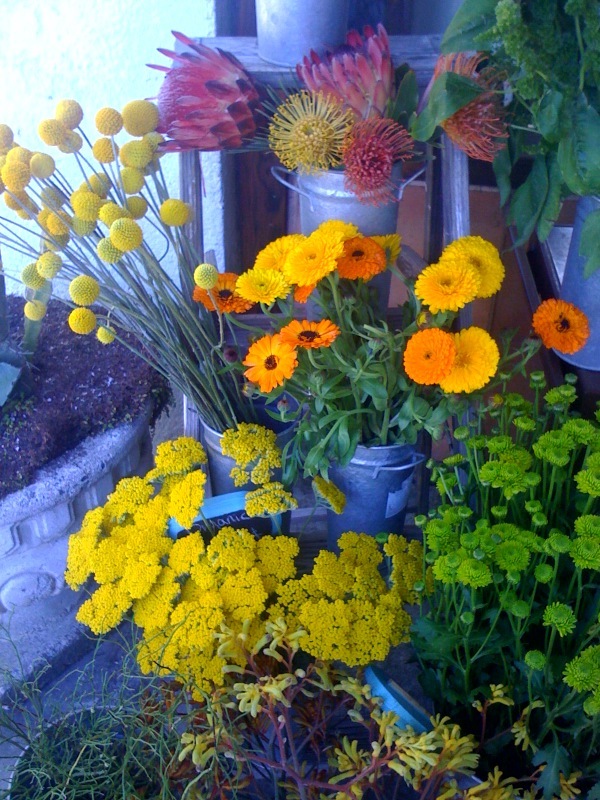 And here's a pic of some of the orange and yellow local, non-sprayed and even some organic flowers we have outside, I love all the brightness that has come with summer, that's now finally here!